Net The World | Internet for the rest of us. Internet for the rest of us. We will be updating this page (ir)regularly, and adding lots of new information, and helpful features! So check back (in)frequently, and if you need to get ahold of us, please signup below, and our new technical and billing phone numbers will appear. We have been hosting Content Management Sytems (CMS) WordPress, Drupal, and Joomla since their inception in the early 2000s - and wrote and supported our own before that! Early adopters and designers we forged numerous e-commerce, radio and newsprint sites and carved a niche in the club and bar industry with our extensive experience. We securely serve POP and IMAP email accounts and have on line webmail for remote access from any device. We resolve to resolve your domain in an expedient fashion and support all levels of subdomain and any TLD. We can administer your bare metal or CLOUD LINUX instances. Red Hat, CentOS, Ubuntu, Debian on AWS or OS X on a co-located mini we do it all. Except Windows. We don't do Windows. 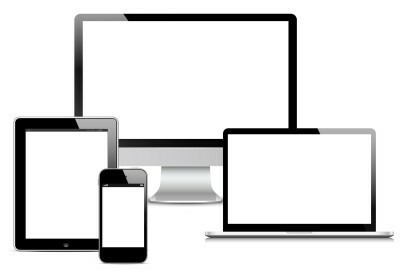 Cross platform - responsive designs showcase your business and products to the largest audience. Search Engine Optimization makes sure you are seen on leading search sites. Tailor your content and keywords for increased rankings and greater visibility.